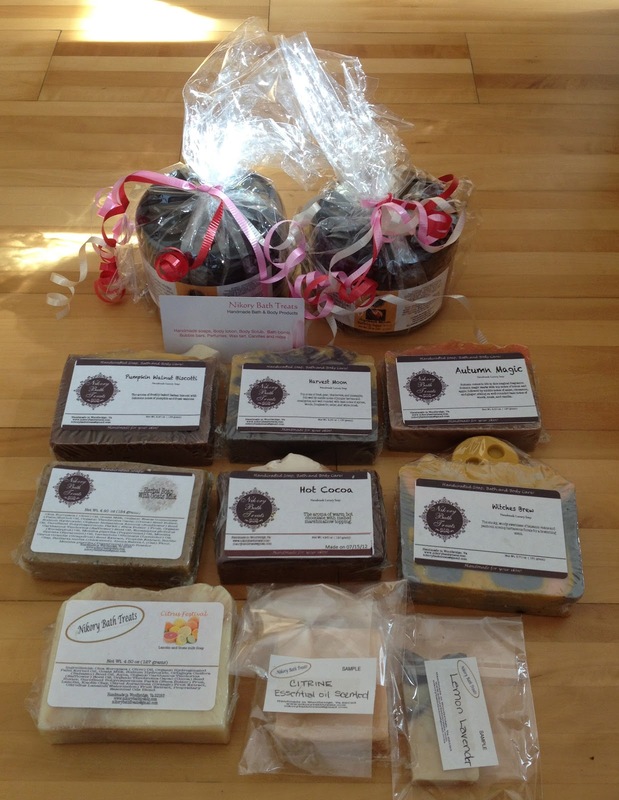 Recently I received a coupon code from Nikory Bath Treats of 30% (!!) off any order placed on Sunday, September 16th so I took advantage of that and ordered a few goodies. 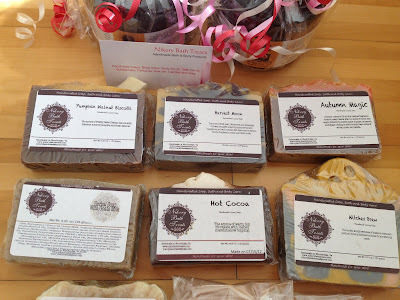 The website wasn´t that well stocked that day but I scored a bunch of nice soaps and scrubs. I received a full-size Citrus Festival soap for free which is really awesome and a few soap scrap samples (love them!). 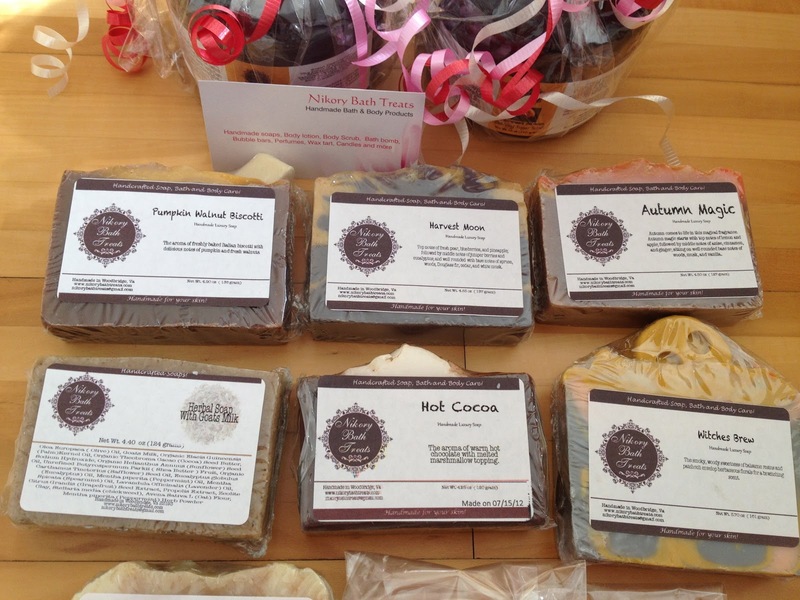 I started using a Boston Tea Party Soap I received from Nikory earlier in the summer and it´s an awesome soap! Smells delicious, lathers nicely and feels moisturizing. The Bubbling Sugar Scrubs are really nice creamy soaps but there aren´t too many sugar crystals aka there is not much exfoliating action going on. But I really like them as creamy soaps with a *slight* exfoliation action. I paid just around $50 incl. 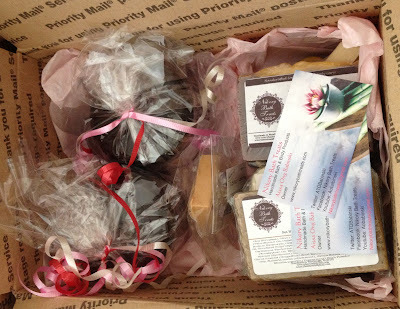 shipping after my discount which is a great price for 2 huge tubs of scrub and 6 soaps.